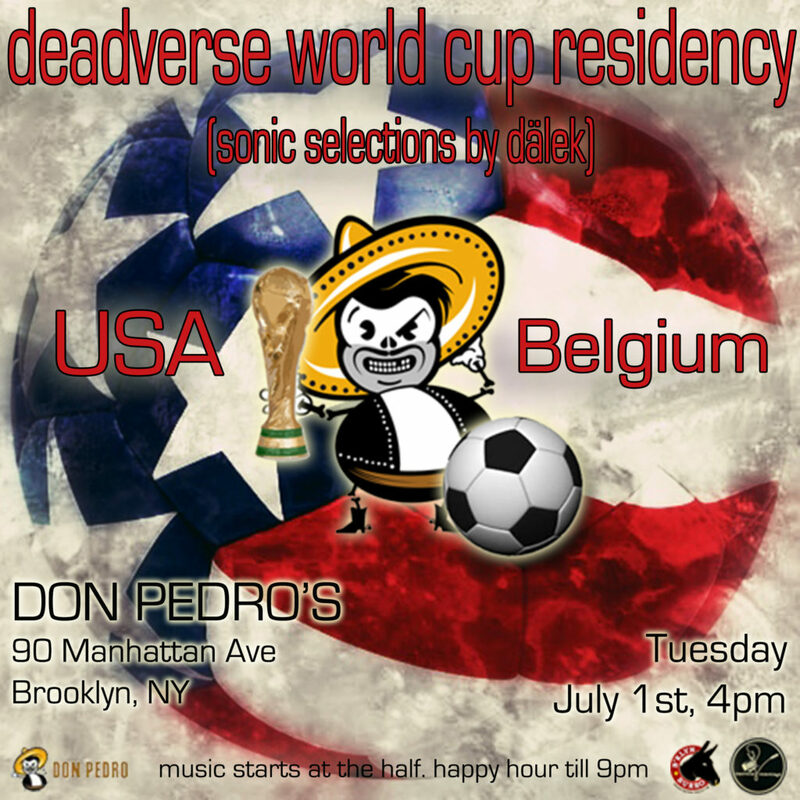 Come join MC dälek (Will Brooks) as he mans the decks at Don Pedro’s during the 2014 World Cup! Come watch the matches, sip on some good brews, enjoy the great grub provided by B’klyn Burro, and listen to something good for your ear-holes! dälek will be spinning EVERY genre known to mankind! dälek will appear, disappear, and then reappear select dates between June 13th – July 13th.